Good news: DaisyDisk 3 is fully compatible with OS X 10.10 Yosemite. Better news: the upcoming DaisyDisk 4 will be a Yosemite exclusive with an updated look and feel plus some really handy extra features. Great news: DaisyDisk 4 is free for all users of DaisyDisk 2 and 3. Unfortunately, LilyView hasn’t been updated in time. It’s only partially compatible with OS X 10.10 Yosemite and these issues really influence the experience of using the app. We apologize for the inconvenience and let you know that the update is in the works. Meanwhile we decided to temporarily pull LilyView from the Mac App Store. It will be back after the update is released. Since the release of DaisyDisk 3 many Mac App Store users complained about lost functionality and inability to scan the disks as they’re used to be. Here’s a short explanation about what’s going on and what we’re doing about this. As you may already know, some time ago Apple introduced app sandboxing as an extra security measure. In theory, isolating applications prevents hackers from getting your private data or ruining your system, but in practice it has certain drawbacks for both users and developers. The main problem is that from now on all Mac App Store apps are isolated and can’t access most locations on your Mac without clearly receiving your permission. This permission can be provided through the familiar Open panel or by dragging and dropping a file, folder or disk to the app’s main window. Leave Mac App Store without updates. In this case App Store users would get a two year old version, which never gets updated. Some developers have already done this. Remove DaisyDisk from the Mac App Store entirely and only sell it from our site. Technically it’s the easiest solution, which could have saved us months of work. Adopt sandboxing for Mac App Store version and omit one for standalone version. This means having to do a lot of extra work just to release a free update to the existing app. The easiest way to apply sandboxing could have been turning the app into a manually populated drop area where in order to view the disk’s capacity or even name one would have to add it first. For many it’s a solution, not for us. Future updates will likely see even better design. What’s important is a fact that we cannot magically make all your disks just scan as before: DaisyDisk simply doesn’t have permission to access your disks. That’s the face we have to deal with, but we’ll do our best to make the upgrade experience as smooth as possible. What can you do right now? Drag and drop Macintosh HD to the DaisyDisk’s window to let the app scan all your disks and, if you ask it to, delete files. This is a one time action. Alternatively download and run DaisyDisk version from our site. It can work alongside with the one from Mac App Store, it’s not sandboxed and has more features which cannot be included into the Mac App Store edition. If you installed DaisyDisk 3 from the Mac App Store, standalone version will pick up registration information automatically, so you’ll always have all the features without paying extra, no matter where you purchased the application. It’s been a quiet summer, but we still have some news to share. First of all, DaisyDisk 3 is slowly but surely approaching the release date. The good news is that you can try the beta today and see what we’ve been working on during the past months. The beta will be updated until the final version is available. Better news: DaisyDisk 3 will be free for all DaisyDisk 2 users. It will be available in both Mac App Store and standalone edition and as usual we’ll offer free migration to standalone. The list of changes includes a brand new design, full retina display support, a new engine and a huge amount of smaller, but useful features, updates and tweaks. Once again, if you’re running OS X 10.7 or newer, there’re no reasons for not trying the beta of DaisyDisk 3, so get it right now. Our new app, lightweight image viewer LilyView is out of beta and is available to every Mac user running OS X 10.7+. Try the demo or head straight to the Mac App Store. My sincere apologies for being silent during the last months. There’s been quite a lot of work inside the company, but only a minor part of it is visible. DaisyDisk Team is gone. Long live Software Ambience! It’s a company responsible for DaisyDisk and all our upcoming products. The staff has expanded, so we’ll be able to work on multiple products simultaneously. Welcome Unclutter, a tiny utility that combines file storage, instant notepad and clipboard preview. Immediately accessible with a simple gesture or keystroke. Available right now on the Mac App Store near you. DaisyDisk is alive and kicking. It got a brand new design with full retina display support, an improved future-proof engine and other interesting features you’ll soon be able to test yourself. This update will be freely available to all existing users of DaisyDisk in Q1 2013. Be patient, it’s worth the wait. That’s not all. Our third app, @LilyViewapp is nearing open beta. Sounds interesting? Stay tuned and follow us on Twitter. The year of 2013 is going to be really great for us all. Standalone version is available for immediate download and the app store one has just been submitted to Apple for approval. Starting from version 2.1 DaisyDisk is no longer Leopard compatible, you’ll need to use version 2.0.7.1 (available on our support page) if you still rely on PPC/Leopard. Other updates will follow during next months. Hooray. 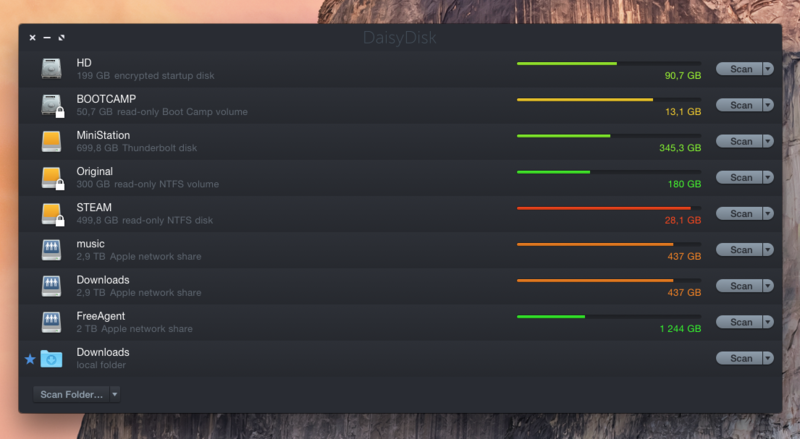 We’ve just released DaisyDisk 2.0.7. For those curious: yes, DaisyDisk 2.0.7 works on Lion, but once 10.7 goes final, we’ll make an update to ensure full compatibility. First of all, we’re re-opening the localization program, so if you want to see DaisyDisk on your own language and wish to contribute — drop us a line. The next minor release would be dedicated to Lion compatibility. We’re also thinking about dropping support for PPC/10.5 in favor of providing better experience for Lion (and Snow Leopard) users. Here’s a portion of fresh news. First of all, we’re pleased to announce the upcoming update to DaisyDisk, version 2.0.7. The first feature you’ll likely notice is favorite folders. Mark a folder as favorite and it will remain pinned to your list of sources forever. Not a big deal for occasional scans, but a real time saver for control freaks. Scanning multiple volumes is now faster than ever thanks to the recent engine changes: DaisyDisk successively scans multiple volumes of the same hard drive, so the hardware load gets reduced and scan speed increases. This thing works automatically, you don’t even need to be aware of it. The third interesting feature is related to the stand-alone version of DaisyDisk. Now, after the scan is complete, the application tells you if there’re significant amounts of disk space hidden in restricted folders i.e. taken by files and folders you are not normally allowed to access. And finally, we’ve made a few tweaks and optimizations to DaisyDisk’s engine, so it handles folders with huge (no, *huge*) numbers of files without any hickups. We hope to roll out this version in a week or two once we finish polishing all the stuff. One more thing. Starting from today we’ll try a more aggressive and flexible price model, so you should be able to get a premium quality product with a significant discount. We’re also considering separating Mac App Store and stand-alone versions of DaisyDisk by making certain (advanced) features only available in a stand-alone edition. There’re some great news we’d liked to share. Seen this stuff a million times, no cool. Let’s try something different. This week we are celebrating the successful start of DaisyDisk 2 by giving away 12 great great books. 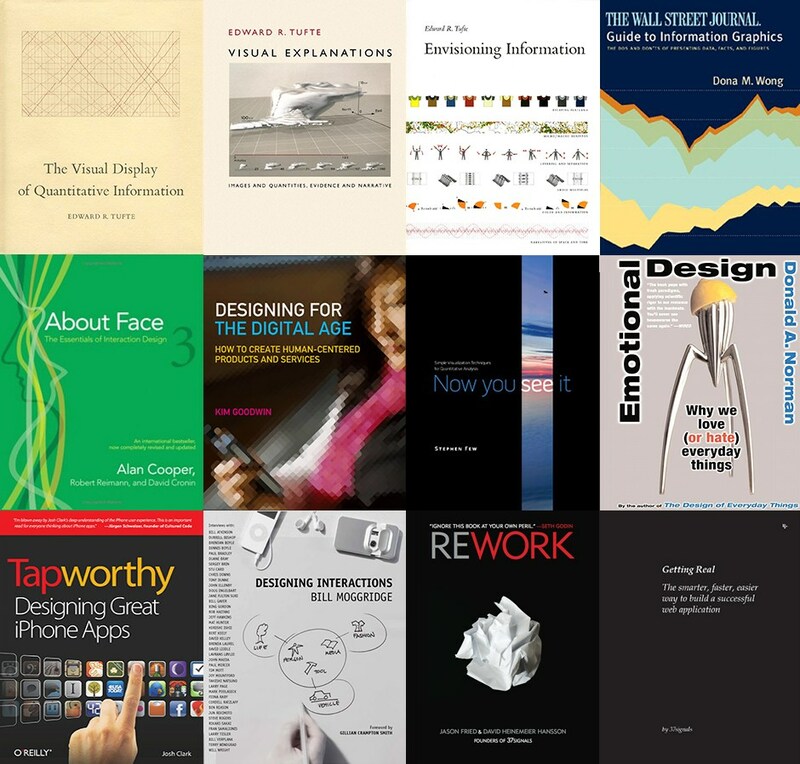 Most of these have already become live classics and well worth reading by just any person interested in design, data visualization and building software. Almost $500 for us — priceless knowledge for you. The Visual Display of Quantitative Information, Envisioning Information, Visual Explanations by Edward Tufte. The best design books ever. Period. Now You See It by Stephen Few and The Wall Street Journal Guide to Information Graphics by Dona Wong. While not as mind-blowing as Tufte’s books these are worth reading for any person interested in information visualization. About Face 3 and Designing for the Digital Age by Alan Cooper and Kim Goodwin — essential reading for every interaction designer or software developer. Designing Interactions by Bill Moggridge, one the most inspiring books we’ve ever read. Great stories behind cult products like Mac, computer mouse or PalmPilot. Emotional Design: Why We Love (or Hate) Everyday Things by Norman. The name is quite self-explanatory. What we can add is that it seriously affects the way you’ll start looking at things after reading it. Rework and Getting Real by 37signals, an icy shower for startupers and beginning software developers. Two of the few books about business that won’t make you asleep. Tapworthy: Designing Great iPhone Apps. An essential book for iOS developers. Any of these books can be yours, no matter if you are in New York, Munich or Moscow. Refer to this article on MacStories for details. Why are we doing this? We’re surely promoting our software, DaisyDisk, but that’s not all. We’ve done it. After being in development for more than a year, DaisyDisk 2 is finally released and is available for everyone. DaisyDisk 2 is available in two versions: stand-alone (classic shareware) and Mac App Store. You can read more about them in this document. Our upgrade policy remains unchanged: free upgrade if you purchased a license before October, 15 2009 or after September 1, 2010. $9.95 otherwise. Ok, but how do you know if your license can be upgrade freely or not? The easiest way to do so is ask DaisyDisk itself. Just download and run the application and it will guide you through the rest of the process. DaisyDisk 1.5.3 is the final version of DaisyDisk 1.x; we still provide support for it, but don’t expect future updates. DaisyDisk 2.x will continue to evolve, we plan some very promising improvements. And no, it won’t make coffee. We do not offer refunds or redeem codes for users willing to migrate to the Mac App Store for free. In the future stand-alone versions of DaisyDisk may have extra features, not available in the App Store as Apple’s review policy prevents us from adding certain functionality. The final release of DaisyDisk 2 stand-alone is not unlocked with DaisyDisk 1.x keys, they must be upgraded online. Contact support if you have any upgrade-related issues. So, what’s next? First of all, we’d liked to take a small break and finish some stuff. We’ll also start working on a side project (no details right now, sorry…) along with preparing DaisyDisk 2 updates. 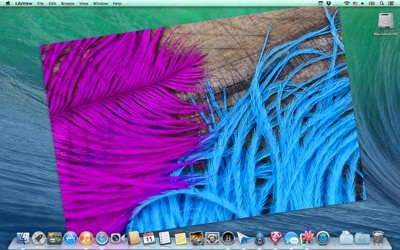 There’re lots of things we have to do, especially with an emergence of Mac OS X 10.7 Lion which plans to be a very interesting OS. DaisyDisk 2 debuts in Mac App Store and is available for purchase right now (direct link). – When the stand-alone version of DaisyDisk 2 becomes available? We hope to finish everything in a few weeks. There’s still some work to be done. The Mac App Store has its own mechanism of registration and updates for apps, so it does not recognize the previously bought DaisyDisk licenses. The only way to make DaisyDisk managed by the App Store is to buy it again via the App Store. Note: DaisyDisk may appear Installed in the Mac App Store, but the app will still not be managed by the App Store (updates, sharing the license across your Macs) unless the app was bought via the Mac App Store. – I own a license for DaisyDisk 1, how can I get the discounted upgrade? The discounted upgrade will be available only as a stand-alone app and not as a Mac App Store app. You’ll be able to upgrade to DaisyDisk 2 once it’s available on our site. The upgrade policy remains the same: $9,95 unless your license key was issued before October 15, 2009 or after September 1, 2010. Otherwise free of charge. – Can I upgrade from a license for DaisyDisk 1 to version 2 for the Mac App Store? The only way to do it is to buy the app via the Mac App Store at the full price. You cannot get a discounted upgrade from your DaisyDisk 1 to Mac App Store version 2, it’s technically impossible. – What’s the difference between the MAS and stand-alone versions? The App Store version does not support scanning as administrator: the feature was removed to comply with Apple’s app submission policy. The MAS version does not support OS X 10.5 (no luck for PPC users) and update/registration mechanisms are changed to ones provided by Apple. Future versions may differ even more, a lot depends on Apple. – If I buy the App Store version of DaisyDisk right now, will I be able to exchange it for the stand-alone version later? Very likely. We can probably just create a new stand-alone license for you. Note that the reverse exchange is not technically possible.